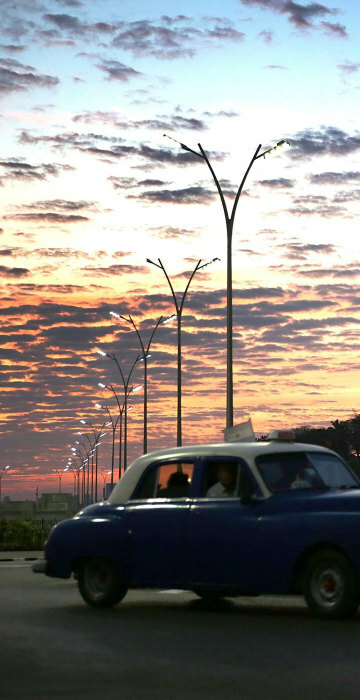 A sunrise in Havana, a raid in Belgium, cliffside Kung Fu and more of Friday's best photos. 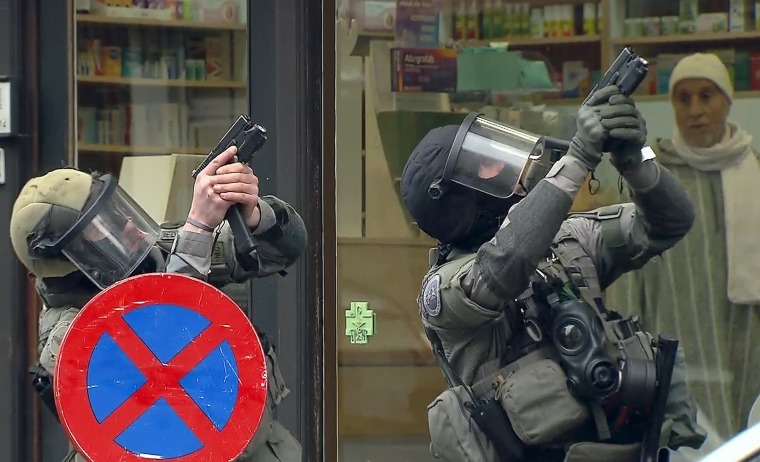 Armed Belgian police secure the area upon their arrival in Molenbeek, near Brussels, Belgium, on March 18. Belgian-born Salah Abdeslam, one of the main suspects in November's Paris attacks, was arrested after a shootout with police in Molenbeek. Syrians commemorate the start of the Syrian war and shout slogans against the Assad government during a protest in Saqba, outside Damascus. 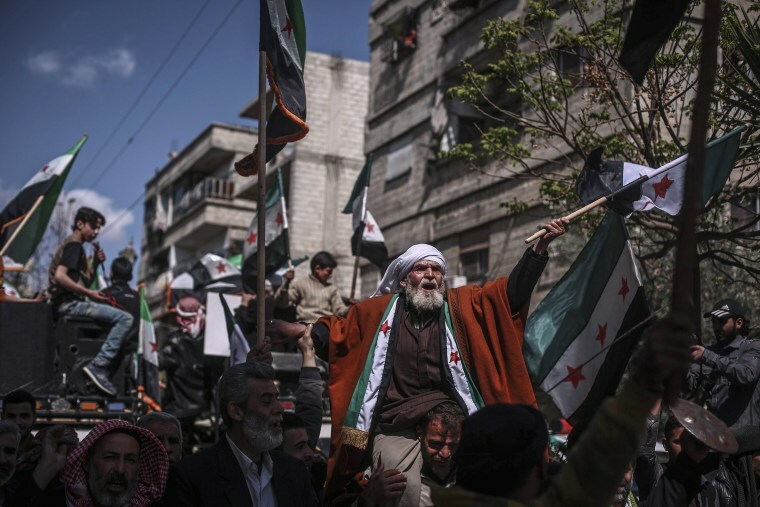 Syrians in the rebel-held areas marked the fifth anniversary of the uprising and the war that has resulted in the death of over a quarter of a million people and displaced millions. 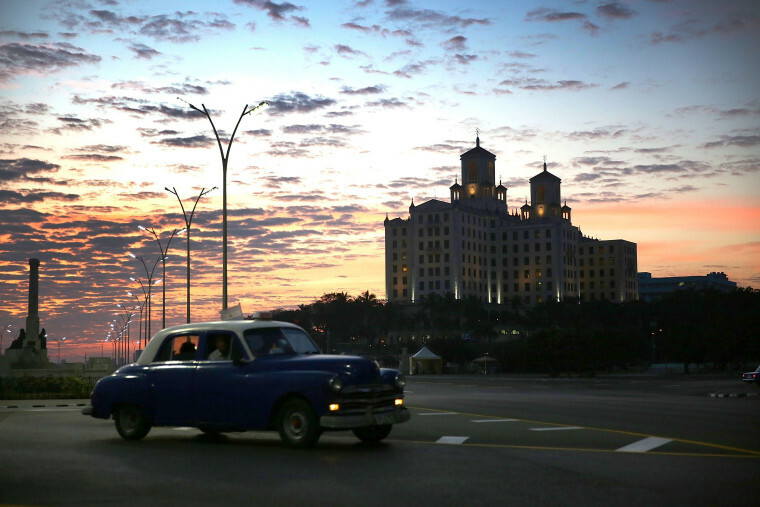 The sun rises behind Havana's Hotel Nacional. President Obama's visit to Cuba on March 20 will be the first in 90 years for a sitting American president. 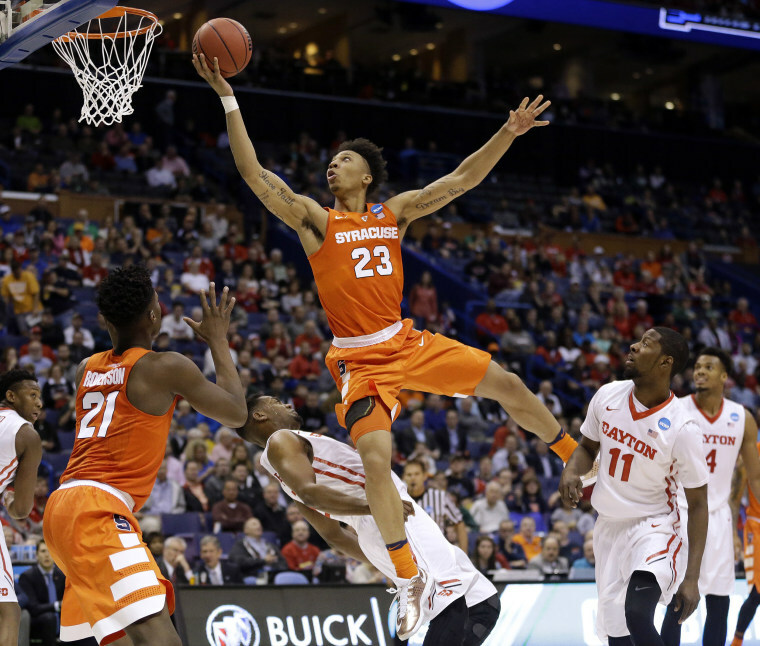 Syracuse's Malachi Richardson (23) is fouled on his way to the basket by Dayton's Dyshawn Pierre as Syracuse's Tyler Roberson (21) and Dayton's Scoochie Smith (11) watch during the second half in a first-round men's college basketball game in the NCAA tournament in St. Louis. Syracuse won 70-51. 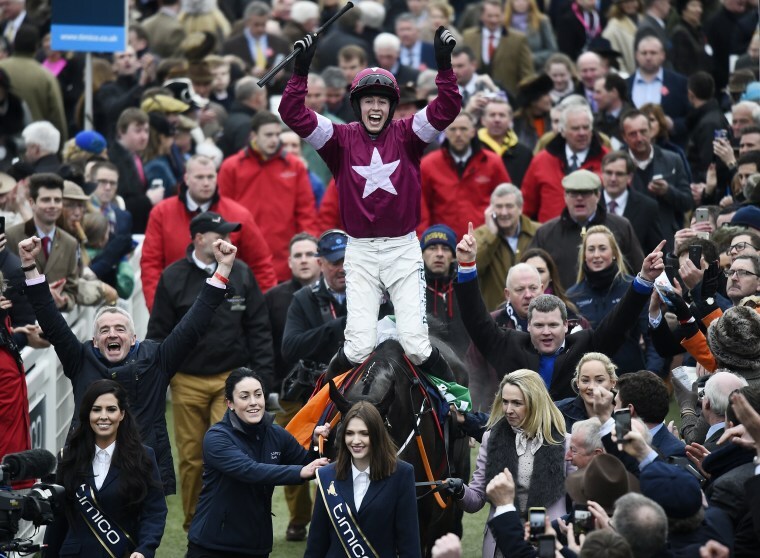 Bryan Cooper on Don Cossack celebrates with trainer Gordon Elliott, right, after winning the 3.30 Timico Cheltenham Gold Cup Chase in Cheltenham, England. 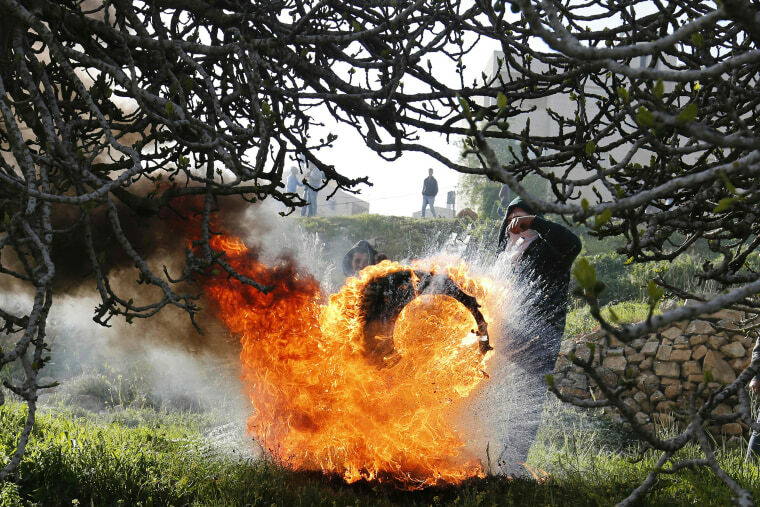 Palestinian protesters kick a burning tire during clashes with Israeli security forces in the West Bank. The clashes followed a demonstration in solidarity with Palestinian prisoners held in Israeli jails outside the compound of the Israeli-run Ofer Prison near Betunia. 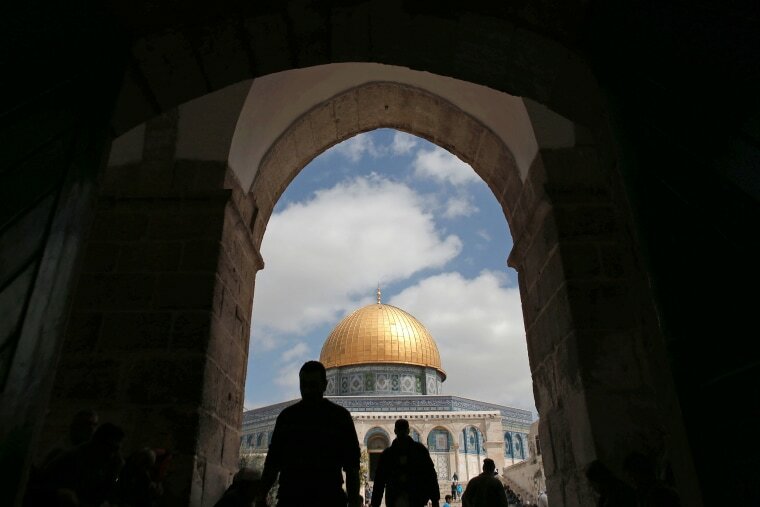 Palestinians walk past the Dome of the Rock at the Al-Aqsa Mosque compound in Jerusalem. 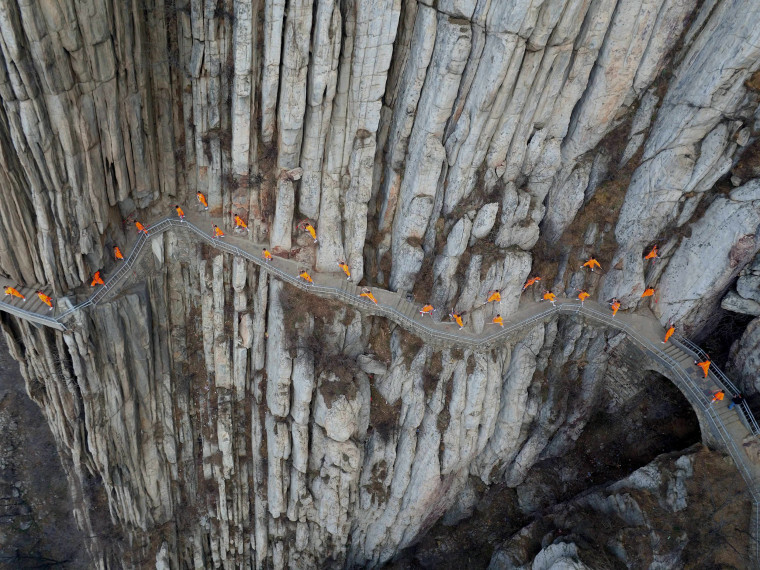 Kung Fu practitioners from a local martial arts school demonstrate their skills on cliffs on March 17 near the renowned Shaolin Temple in Dengfeng, central China. Photo made available March 18. 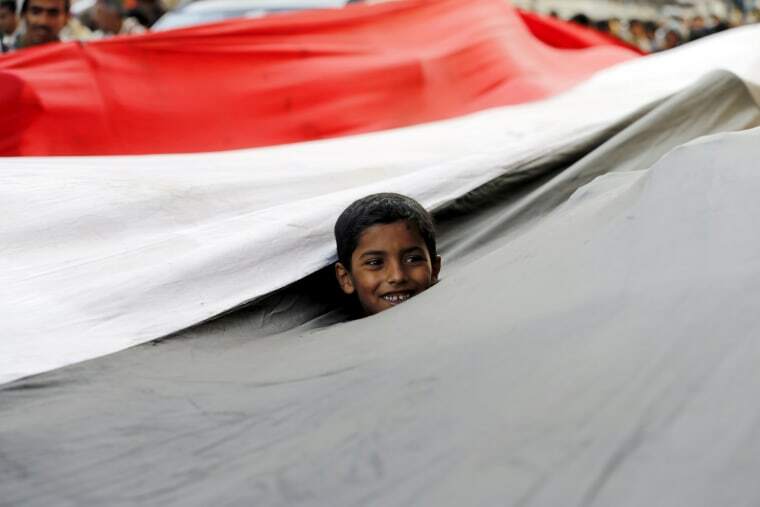 A boy looks out from a Yemeni national flag as he takes part in a demonstration held by Houthi supporters against Saudi-led air strikes in Yemen's capital Sanaa. The war in Yemen has pitted Shiite Houthi rebels and forces fighting for former President Ali Abdullah Saleh against fighters loyal to exiled President Abed Rabbo Mansour Hadi, as well as southern separatists, local militias and Sunni extremists. Migrants walk between trains while another, top, tries to jump from one train to another at the northern Greek border post of Idomeni. Migrants who reach the Greek islands from Turkey after Sunday will be sent back, a senior Turkish official said Friday.